Aero Peak GT Wing BK "Air Sword" is made of reinforced fiberglass with two side plate options and two heights. 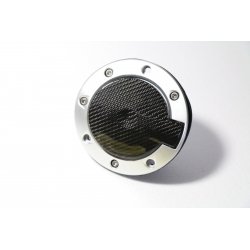 The ARK Shorty Antenna for 03-08 tiburon is much more sleek and fashionable than the OEM antenna design! BiteDesign Rear Side Window Louvers for 03-08 Tiburon are made from ABS plastic available in matte and glossy black finish. 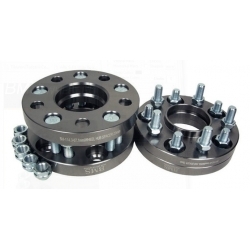 BMS Wheel Spacers are high quality hub spacers made in korea for afordable price available in dimensions from 15-30mm. 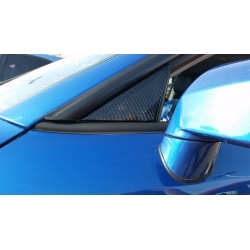 The carbon fiber window deltas for 2003-2008 Tiburon were created as a direct replacement for the OEM plastic fillers. 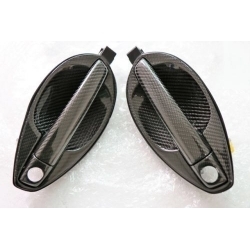 Carbon Fiber Door Handles are genuine hyundai mobis parts wrapped in real carbon fiber. 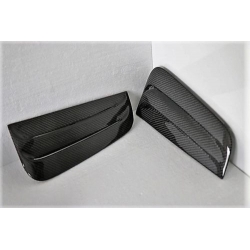 Carbon Fiber Side Fender Gills 03-06 hyundai tiburon are oem hyundai mobis parts wrapped in real carbon fiber. 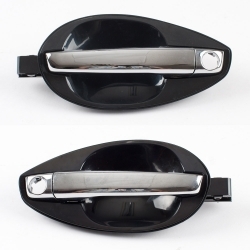 Chrome Door Handles are genuine hyundai mobis parts with perfect fit and finish and they give your tiburon that luxurious look. 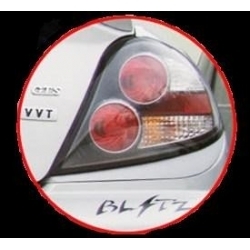 Engine Bay Plastic Covers for V6 2003-2006 hyundai tiburon are oem parts with excellent fit and finish.